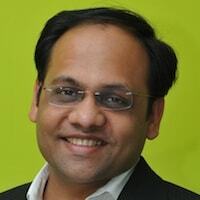 Anurag Agrawal is the CEO of Intellecap. He has worked with several socially oriented investors assisting them in identifying suitable impact investment opportunities and facilitating investment transactions. Anurag also has the unique distinction of working with most of leading microfinance institutions in India, and has helped many of these institutions with their fund raising efforts. Cost vs. Tech: Will innovation make it affordable to transact with the BoP? NextBillion Financial Innovation’s introductory series features the views of top innovators and leaders on what’s driving financial innovation, where momentum is heading, and what obstacles remain. Today, Anurag Agrawal, CEO of Intellecap lays out the core isssues involved in bringing low-cost financial products to customers at the base of the pyramid.